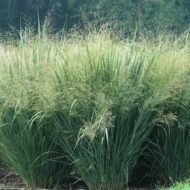 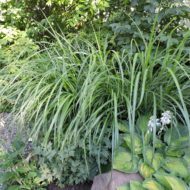 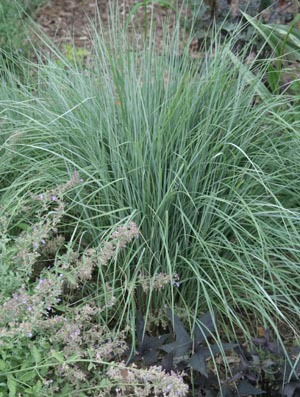 Schizachyrium scoparium is a tidy, finely textured native North American grass with blue-green summer foliage. 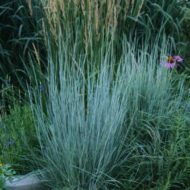 Little Bluestem's silvery seed heads rise to a height of nearly 2 ft in late summer and show beautifully when back-lit by the sun. 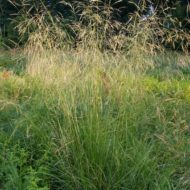 In fall, the grass turns a coppery color that lasts all winter. 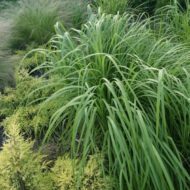 Good ground-cover for massing or texture in rock gardens and formal borders. 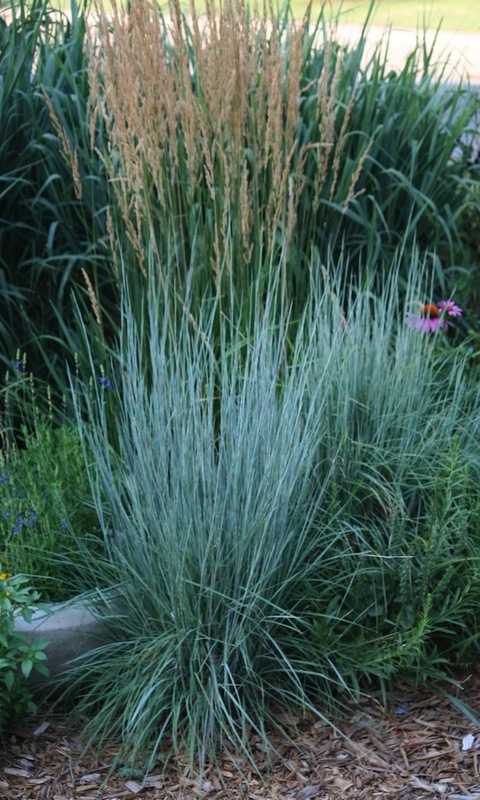 Of interest late summer to winter.